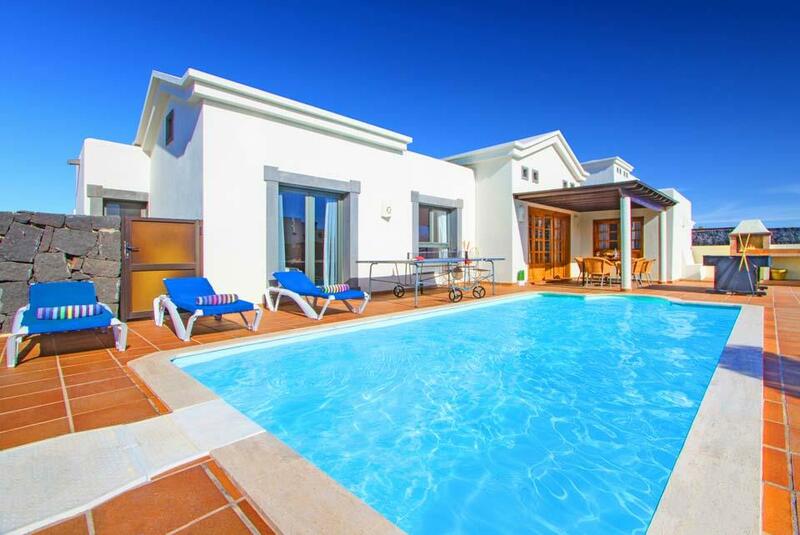 Situated in an exclusive area of Playa Blanca, Villa Papagayo is a gleaming, white three-bedroom abode. 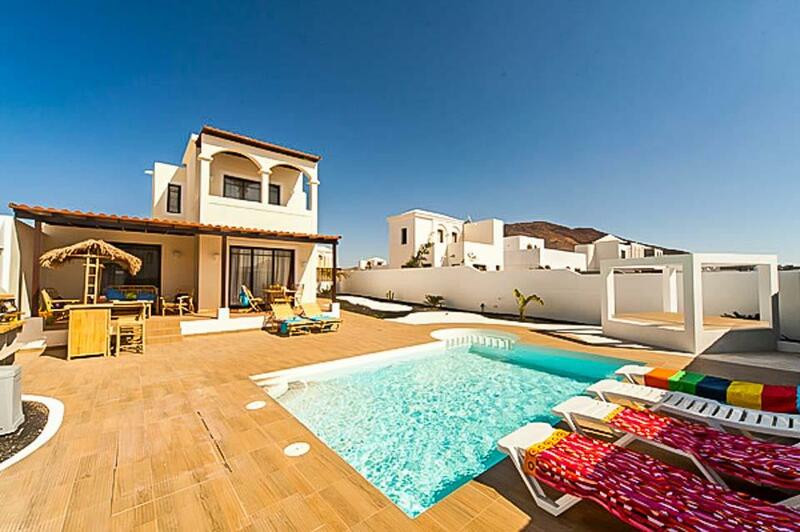 Situated in an exclusive area of Playa Blanca, Villa Papagayo is a gleaming, white three-bedroom abode. Just a five-minute stroll will bring you to the beach and local restaurants. An inviting swimming pool dominates the garden, set in a terracotta stone deck, flanked by sun loungers. 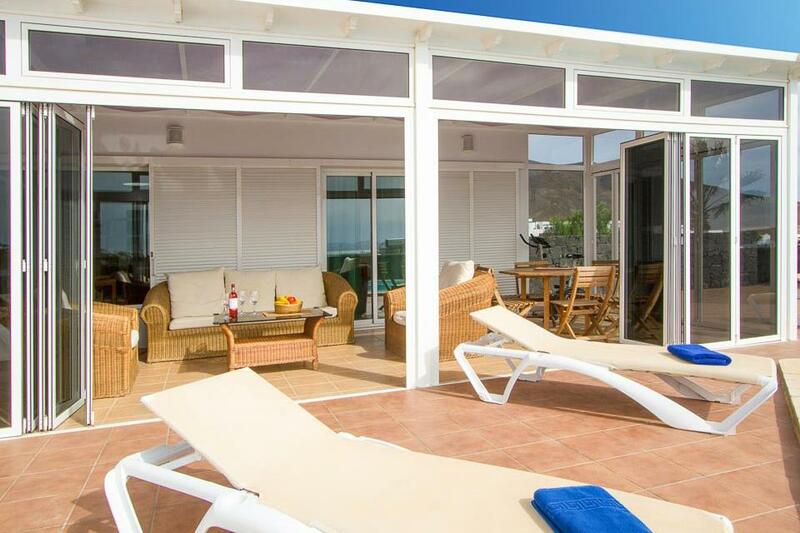 Cleverly designed, the villa has a glass conservatory extending out into the garden. 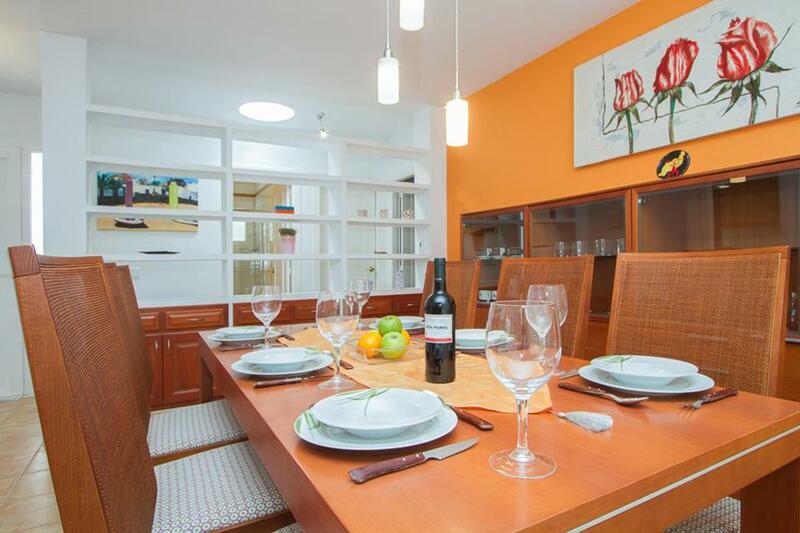 It’s furnished with a sweet, rattan sofa, chairs and coffee table, as well as a dining set. Open the glass doors to the elements and enjoy a meal or afternoon spritzer here. 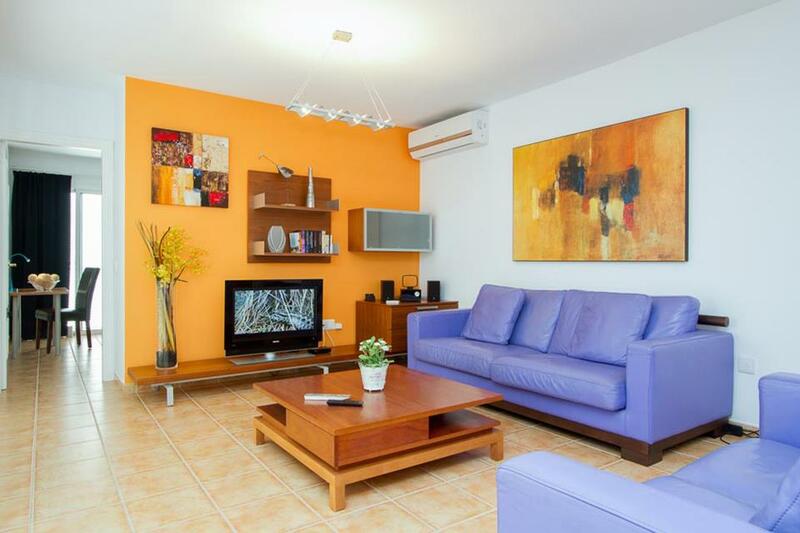 The interiors boast splashes of colour, with a bright lilac sofa and a citrus feature wall. 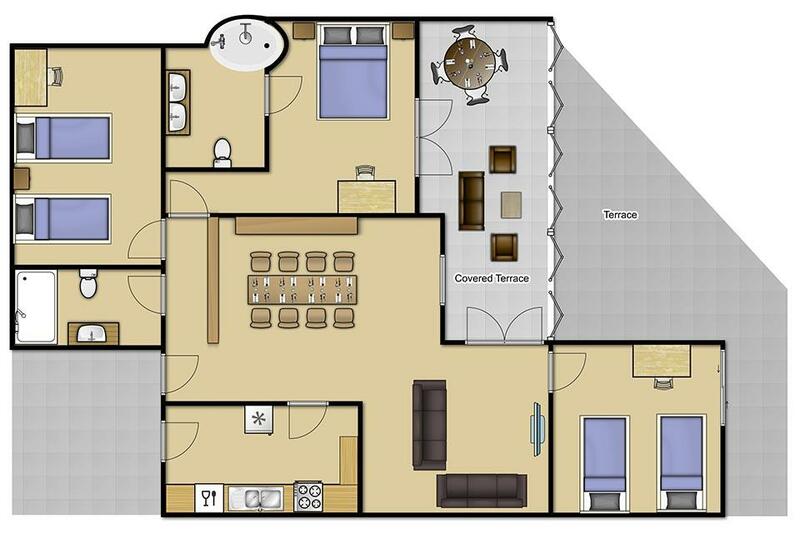 You can prepare meals indoors in the galley kitchen and serve up at a wooden dining table. 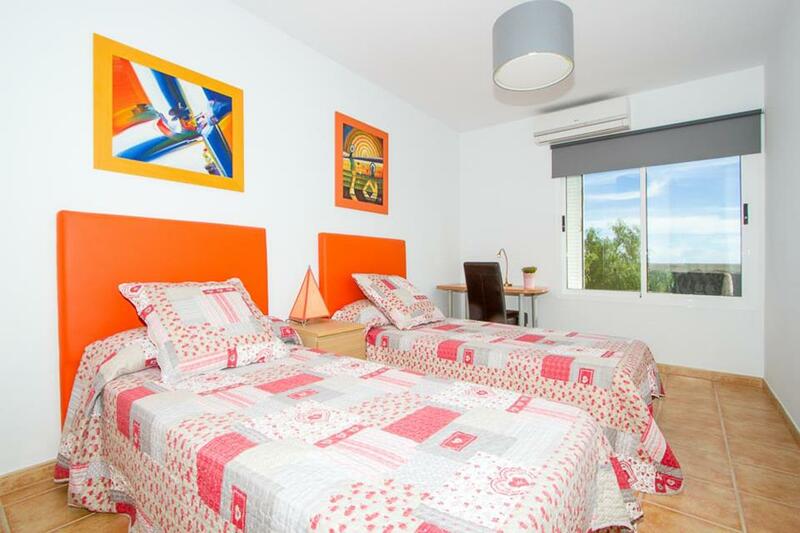 The bedrooms are light, decked with pretty quilts and the master has its own en suite bathroom. 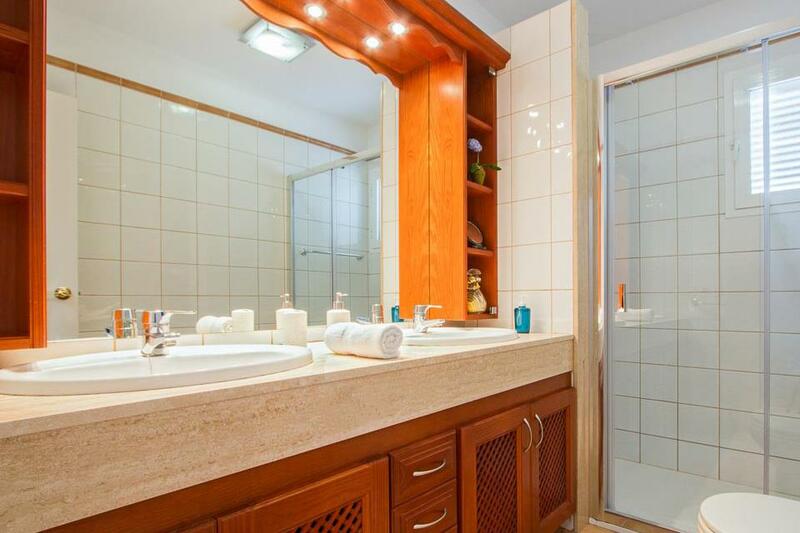 There’s also a separate bathroom with shower to share. 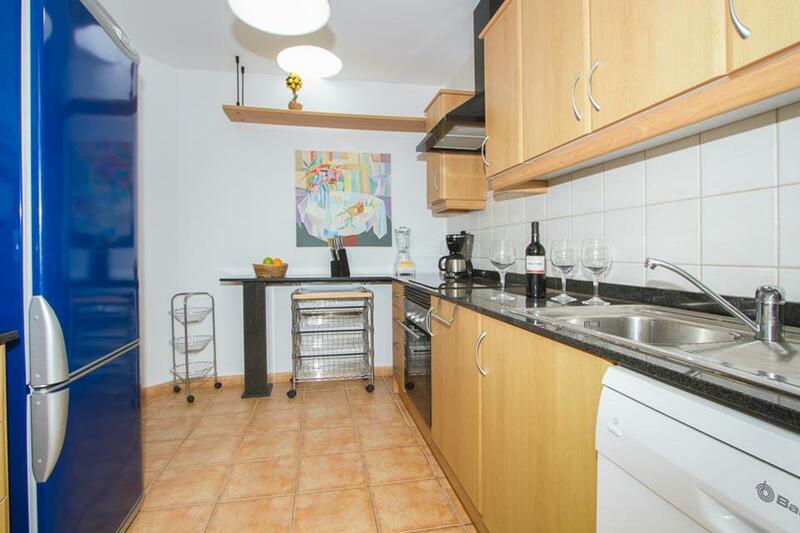 If you’re up for a longer stroll, in twenty minutes you’ll reach Marina Rubicón. The marina village is where you can find a wide variety of bars, restaurants, boutiques and every Wednesday and Saturday there is a market here. They are lots of water sports on offer to such as paddle boarding, parasailing and fishing and sailing trips. 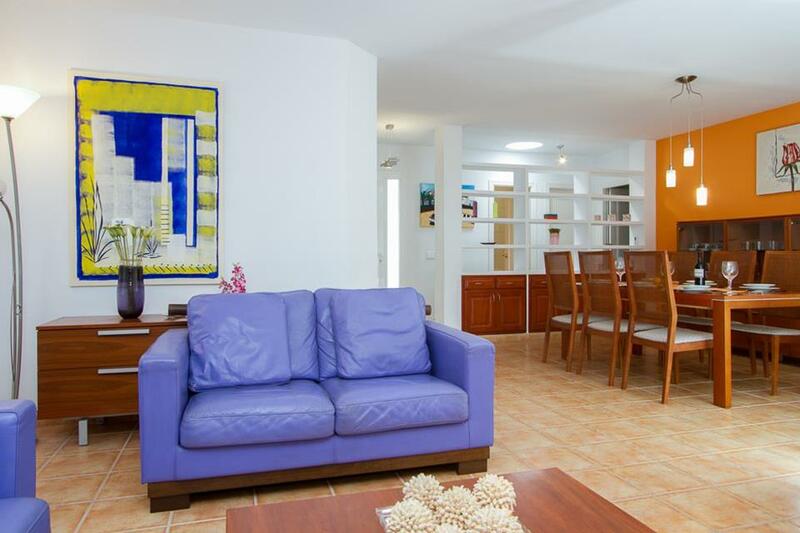 The villa is lovely, great location and very spacious. Outside area was particularly good. Great size pool and lovely views. We enjoyed our stay at Villa Papagayo, in Playa Blanca. The villa was very private, the indoor space was ideal for our needs and the outdoor living space was excellent and adaptable to cope with the occasional winds. The on site representatives couldn't have been more helpful when we had occasion to ask for help and advise at the beginning of the holiday. The villa was all on one level . It was in a quiet location and not overlooked. We very much enjoyed our stay at Villa Papagayo and would very much like to return another time. We will certainly look to book with Solmar again. Overall this is a great villa and I definitely would consider staying here again. Location was good with a cluster of shops and bars just a ten minute walk away. The marina is about 30 minute’s walk away along the coastal walkway but there is a steep hill to negotiate from the villa down to both the aforementioned shops and the coastal path. I would recommend a car. 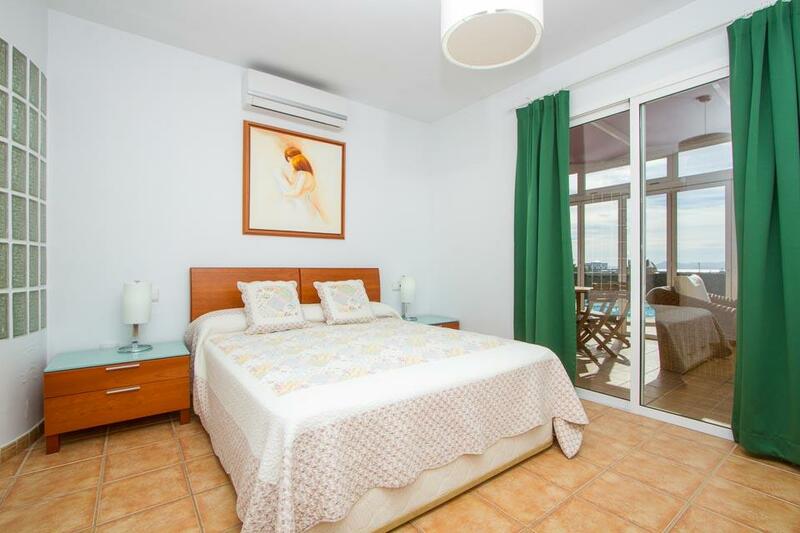 The villa is very spacious and the conservatory area overlooking the pool is a great space. The doors to this completely open providing a covered seating area during the day and when closed at night a good space to sit and chill out. The pool is a good size. From the pool area there some amazing views across to Fuerteventura. The villa overall is brilliant and we would stay here again. 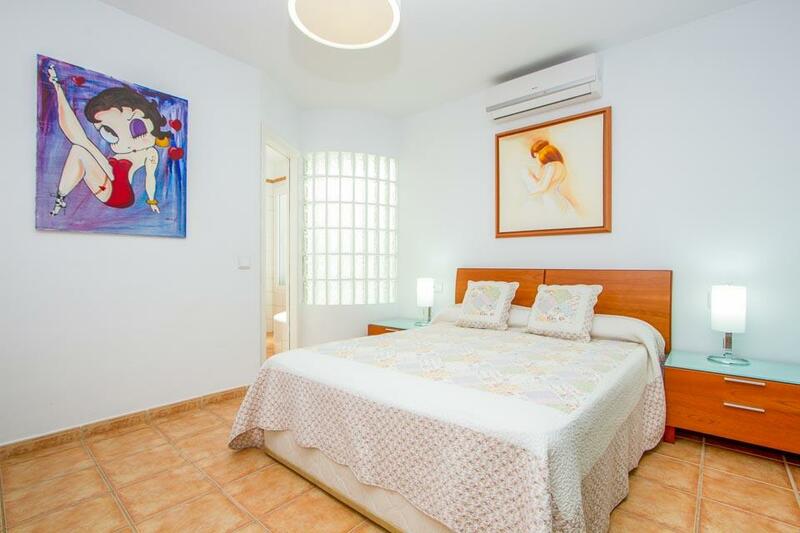 Good spacious villa with great facilities, well located. Easy walk to restaurants and shops. 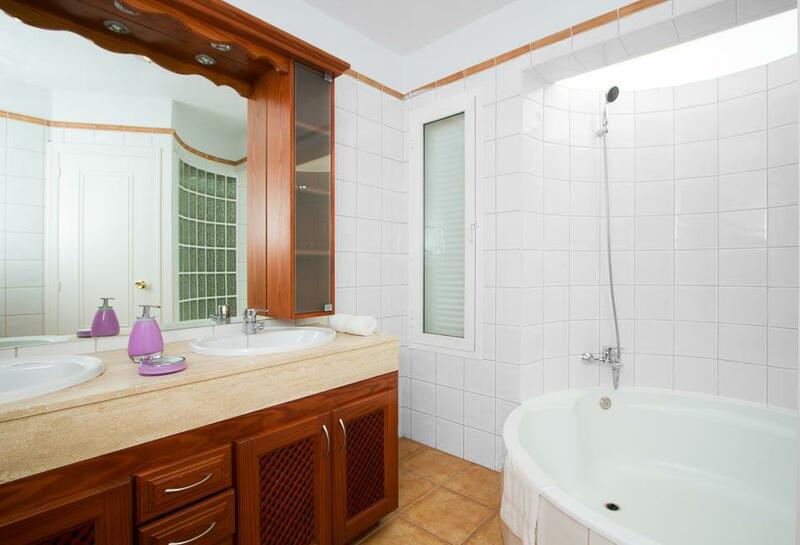 Good spacious villa with great facilities, well located. Easy walk to restaurants and shops. Solmar Representative: Very pleasant and helpful. 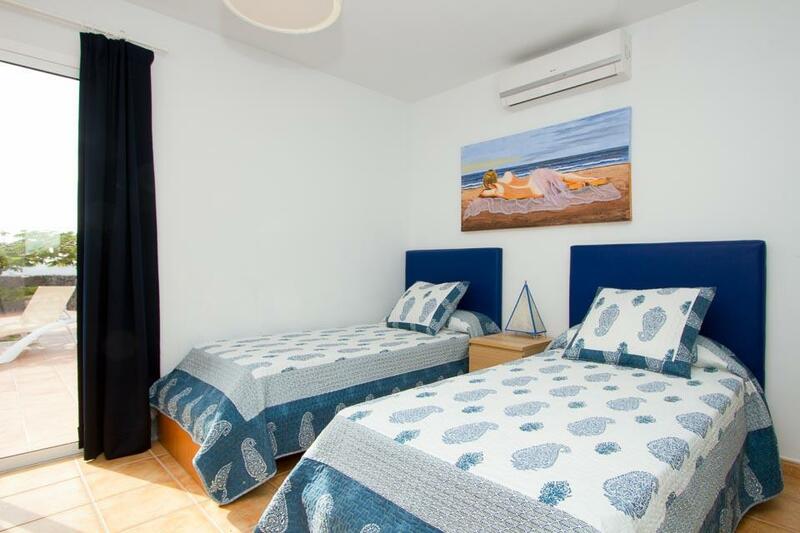 We have stayed in the Papagayo area a number of times now and love its quiet and relaxed feel. Perfect for a peaceful holiday but a 20 minute walk into Marina Rubicon means you have access to some nice cafes and restaurants. 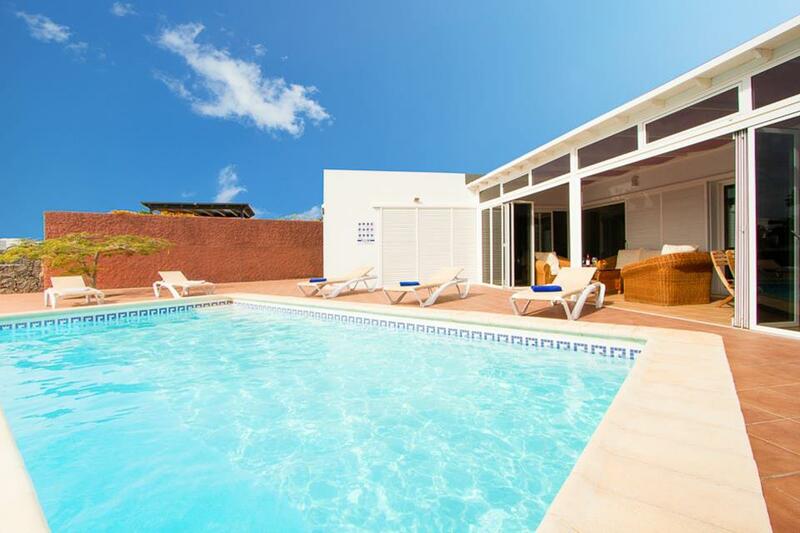 Villa Papagayo is positioned at the top of the development and so offers great views across to Fuerteventura - if a little walk from the supermarket. 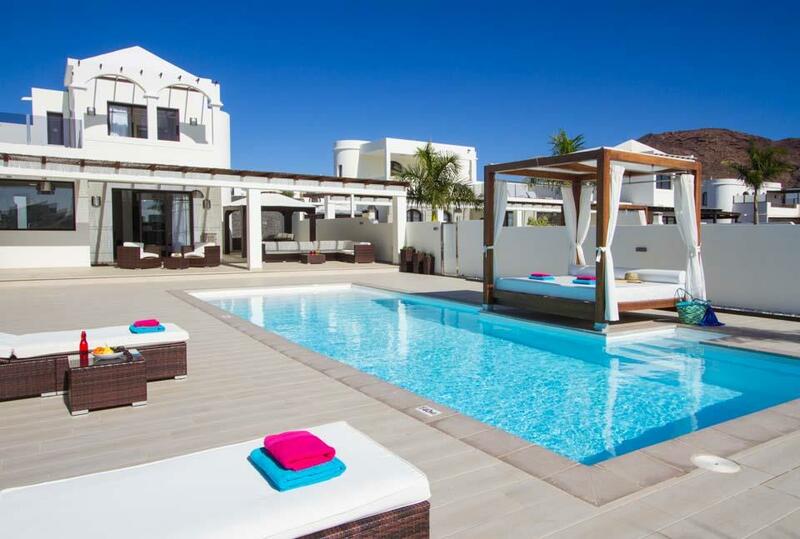 The villa was absolutely amazing and had everything required for our family holiday. This was the first time we had ever rented a private villa and we will definitely be back to visit again! 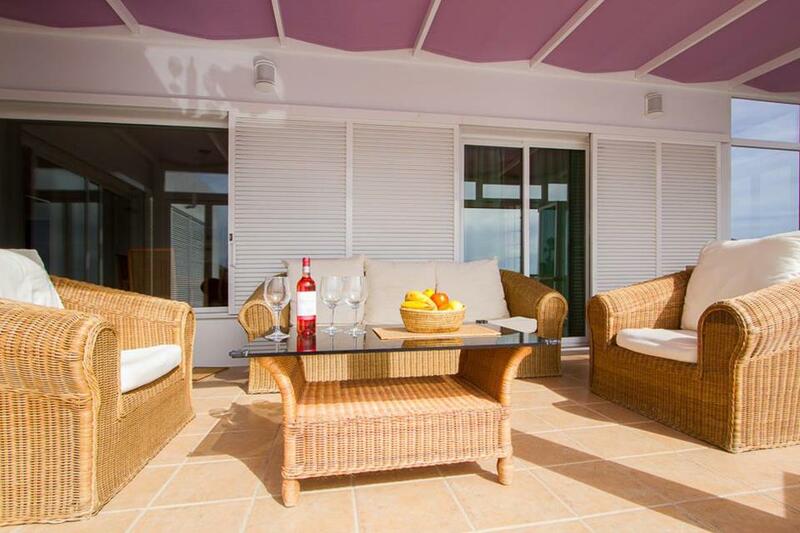 we have stayed in a number of villas over the years but this was our first booking with Solmar. The villa was excellent, clean and well equipped with everything you could need. The added bonus is that the villa was cleaned mid week, fresh towels and linen and the pool was cleaned twice during our stay, this is something that has not happened during previous villa stays. We cannot wait to book again. First class!!! !